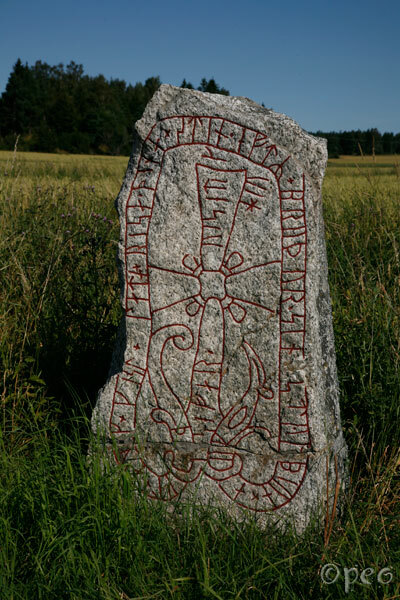 Þorkell and Gísl had this stone raised in memory of their father Gansi(?). May God help his spirit. 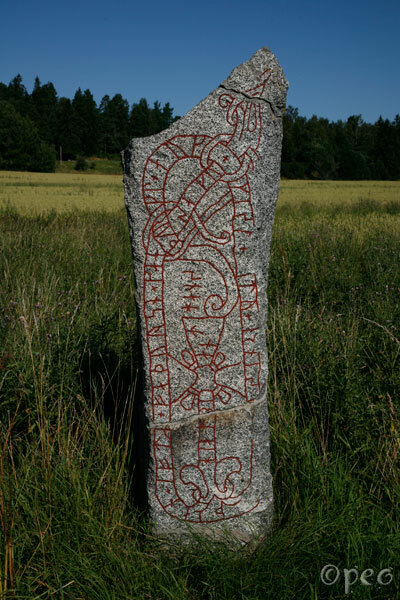 Þorkell and Gísl have raised this stone in memory of their brother Styrbjôrn, and Sæfari (also raised). Véseti cut.